​Jo was a General Practitioner in Sussex for over twenty years and during that time developed a special interest in depression and anxiety, work-related stress and staff welfare, palliative care and the relationship between psychological health and long-term medical conditions. In 2011 she decided to focus on her interest in mental health and gained a Postgraduate Diploma in CBT from the University of Oxford (Oxford Cognitive Therapy Centre). She is fully accredited with BABCP. Since leaving General Practice and moving back to South Wales, Jo has worked in the NHS Counselling Psychology Department in Swansea and with the Staff Counselling Service at Swansea University, together with providing therapy for medical professionals with mental health problems. 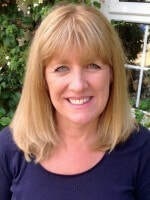 She has also been involved with the local BABCP group in setting up training workshops for therapists. In addition to her clinical work, Jo has, for the last four years, been a tutor at the University of South Wales, leading Year 1 of the Postgraduate Diploma in Cognitive Behavioural Psychotherapy between 2015-17. Jo recognises the importance of a collaborative, empathic and compassionate therapeutic relationship in enabling people to understand their difficulties and to start to bring about the change they would like. Whilst CBT is recommended by NICE for many mental health problems and has a strong basis in research evidence, Jo acknowledges that therapy must be flexible to be meaningful and effective to the individual person. Jo maintains her interest in CBT for depression and anxiety disorders and in CBT for long-term medical conditions. She is happy to provide CBT supervision for qualified therapists and therapists in training. Jo works on Wednesdays and Thursdays from late morning through until early evening. The current waiting time for an appointment is approximately 4 weeks. The fee per hourly session is: £60 payable by cash, cheque or bank transfer.